When it comes to tiny details and finishing, Gail Doane is the queen. 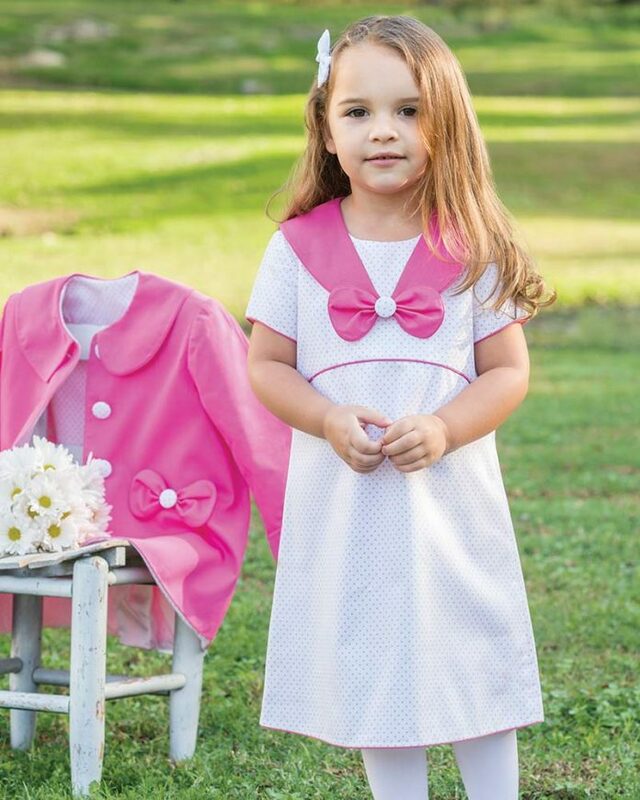 This lovely spring dress, complete with rounded bow, is simply charming. 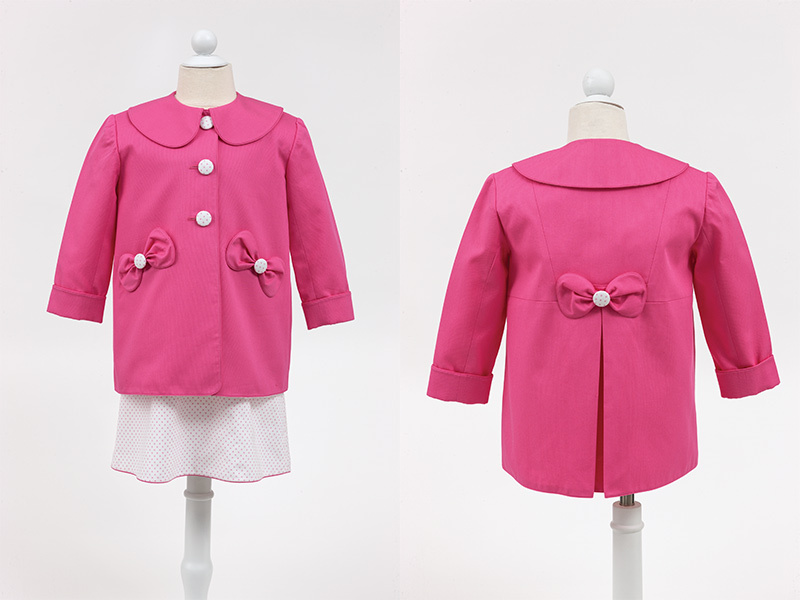 The contrast of hot pink and white shows the piping and button closures perfectly. The jacket is lined with the fabric of the dress. 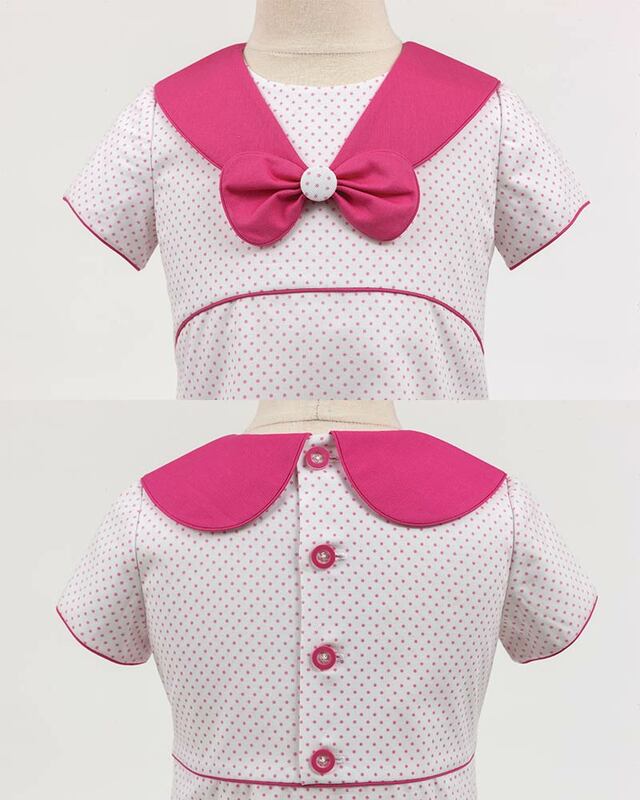 The pleat in the back is topped with the same rounded-edge bow as the dress. 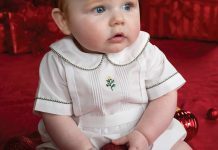 Gail’s unique rounded sailor collar adds a feminine touch to this classy duo. Gail’s lined jacket pairs beautifully with the dress, but it is also wonderful when worn with pants or jeans. 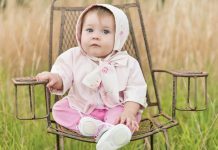 It will bring smiles to the lucky little lady who adorns this custom-made outfit for a special day. It is the right weight jacket for cool spring days. 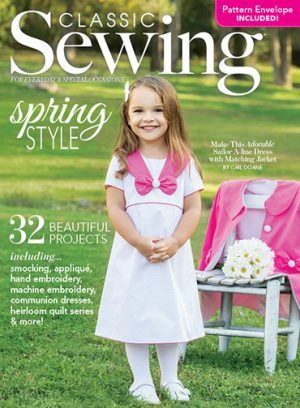 For the pattern envelope and project details, shop the issue by clicking below!